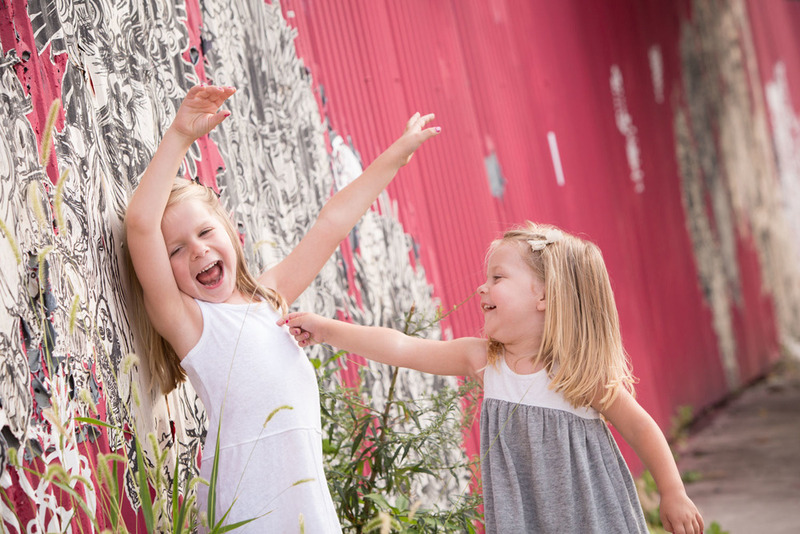 Before our session(s) I was concerned about run-away costs combined with totally unnatural photographs stylized in a fashion that is utterly unrepresentative of our lives and likenesses. Fears come true? No, while I must admit that the process can be ‘painful’ for a person who does not like photos taken, Justine was wonderful in engaging all members of the “cast”, keeping the photo-session moving and finding ways to understand postures, poses, composition that is reflective of our normal environment. That combined with an acute eye, led to some truly enjoyable photos that have endured as favorites. Seeing my family enjoy the photo-session was my favorite part. It was not work or fake or artifice. Justine, sort-of, became a family member and helped a natural dialogue that was recorded in images. I have also done a studio head shot session with Justine - in which she really helped me relax and worked to convey a sense of character and sincerity that other “head-shot” sessions have generally failed to do. We’ve had good photos taken over the past 6 years with various photographers. We booked Justine Cooper this year for photos in a variety of urban settings in Tribeca and she was absolutely extraordinary — the best experience we’ve ever had here with photos. Her work speaks for itself (we are thrilled with the photos), but equally important, her ability to work with the kids is just amazing. My niece was easy going, but my 5-year-old son was in a horrible mood prior to the session. Justine immediately struck a report with my son and was able to get him in a genuinely good mood to participate naturally with the whole family in the session. JCP has always delivered on beautiful photographs every time I’ve used her. I normally would have waited until one of her mini session specials purely for economic reasons, but I had no doubt that I would use her services again.